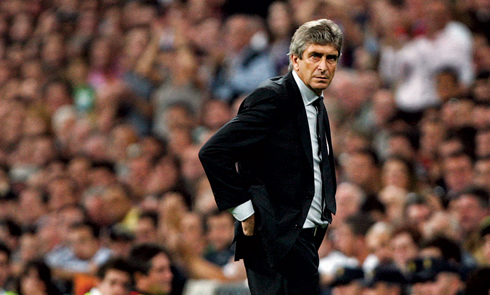 ﻿ Manuel Pellegrini: "I wonder how Real Madrid would do without Cristiano Ronaldo"
26.10.2012 » Pellegrini: "I wonder how Real Madrid would do without Ronaldo"
Manuel Pellegrini granted an interview to "La Gazzeta dello Sport" earlier this week and looked back at the days where he coached Real Madrid. The Chilean manager compared the current Merengues team with the one he had on his hands in 2009 and questioned how Real Madrid would do if they were forced to play without Cristiano Ronaldo and Pepe for a long period. 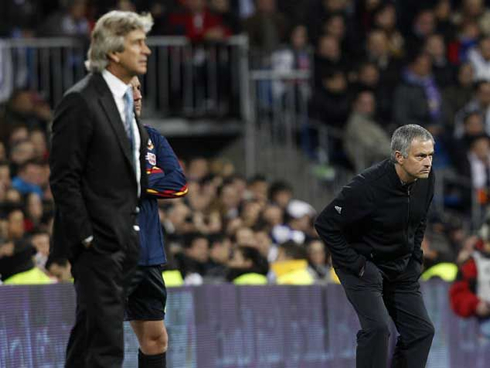 The former Real Madrid manager Manuel Pellegrini, who is currently in charge of this season's UEFA Champions League revelation team Malaga CF, commented some of the circumstances that marked his passage in Madrid, between 2009 and 2010, precisely before José Mourinho's arrival to the Spanish capital. 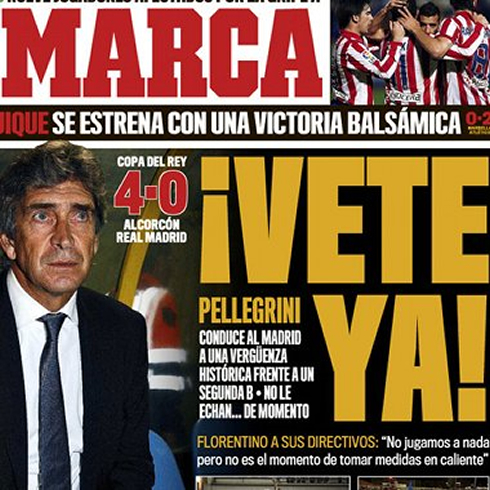 Talking to "Gazzeta dello Sport", Pellegrini remembered the 94 points he achieved on the season he was coaching the Merengues and wondered how well would the current Real Madrid team do, if they were unable to count with Cristiano Ronaldo and Pepe's contribution for a few months, just like he did during the 2009-10 season. 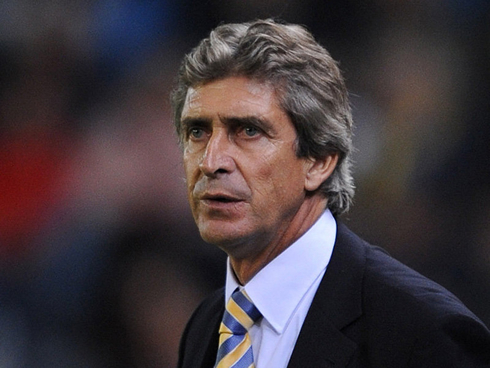 Manuel Pellegrini: "I would have liked to have won at least 1 title with Real Madrid and I still think we did enough to deserve it. I wonder how strong would Real Madrid be these days, if all of a sudden they would lose Cristiano Ronaldo for a couple of months and Pepe for almost half a year, as it did happen with me during the 2009-2010 season. Even with all those setbacks, we did 96 points in the Spanish League! ", pointed out the Chilean manager, who seemed a bit upset with the fact that José Mourinho's men did break La Liga's single-season point record in 2011-2012, after reaching the impressive 100 points mark. 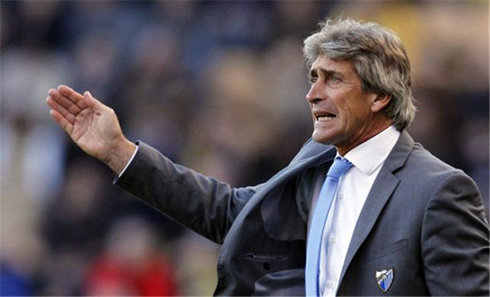 Malaga is currently holding the 3rd place in La Liga, precisely in front of Real Madrid who comes 3 points behind Pellegrini's side. 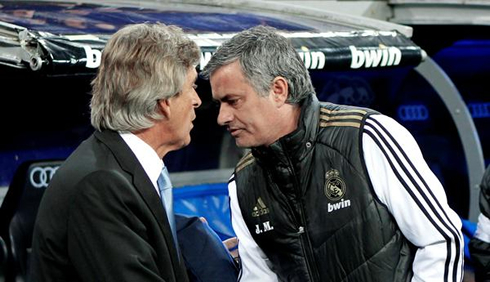 Both teams have a clash agended for the 22th of December 2012, still 2 months away from today. The Chilean manager had several remarks towards his former club and without ever mentioning José Mourinho, he did issue a few critics to the way the Portuguese coach has been leading things at Real Madrid. Pellegrini: "Real Madrid can't afford to be the team who runs after the ball, regardless of how much it is their lead in a certain game. That can't happen with players of that quality, who are able to entertain people the way they are, during the full 90 minutes of a game", remarked the Malaga CF manager. 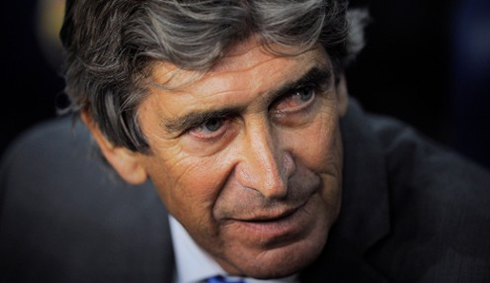 Pellegrini: "The constructive part of the game should always be more important than the destructive part. I don't like coaches who only play to achieve results. The game concepts related to the creation of good football and entertaining people are crucial to me. My players embrace these concepts and what happens is that end up enjoy playing football in any circumstances", stated the former Merengues manager, moments before approaching the reasons that led to his departure from the Spanish capital. The Chilean coach claims to have been a victim of the Spanish media pressure, but has a clear conscience about his work, since he believes to have left with most of the Madridismo still supporting him. Pellegrini: "My situation in Real Madrid ended up being the result of me defending several players who I believed to be vital for the team. I couldn't accept changing my own ideas into a tottally different game concept. Especially in what concerned the players who were to leave and join the club, such as Santi Cazorla for example. I had the support of both the players and the fans. Despite all the negative media campaign made against me, I believe I left the club with 80% of the public supporting me. That just shows we share a common feeling in the way we live this game, as well as my own personality, so it obviously gives me much satisfaction to note that. I hold no grudge at all against the club! Quite the contrary, since I have a lot of great relationships with people that still work in Real Madrid", concluded the Malaga CF coach. Cristiano Ronaldo next game for Real Madrid will be against Mallorca, for the Spanish League 'La Liga' this Sunday night (28-10-2012). You can watch Juventus live stream, Mallorca vs Real Madrid, Rayo Vallecano vs Barcelona, Chelsea vs Manchester United and Arsenal vs QPR, all matches provided from our soccer live section.